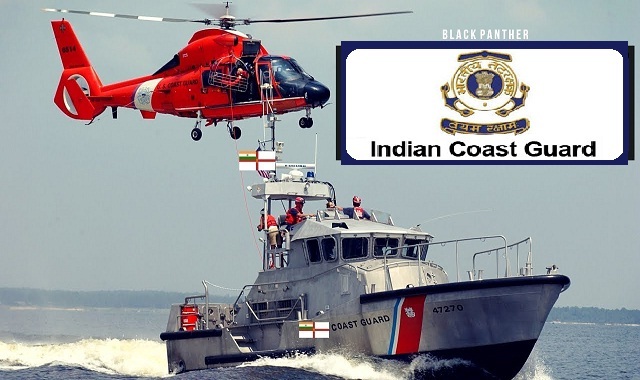 ICG-Indian Coast Guard Recruitment 2018-2019 Apply Online Application Form for Various Yantrik Posts Apply Online. Indian Coast Guard Yantrik Jobs Notification 2018 Released. The Interested and Eligible Candidates are requested to apply online through Official website www.joinindiancoastguard.gov.in. The last date for submission of Online applications is 19.01.2018. ICG-Indian Coast Guard Career Recruitment 2018 - Apply Online. Matriculation or equivalent and Diploma in Electrical/ Mechanical / Electronics and Telecommunication (Radio/Power) Engineering Approved by All India Council of Technical Education (AICTE) with 60% in aggregate (5 % relaxation in above minimum cut off will be given for SC/ST candidates and outstanding sports person of National level who have obtained 1st, 2nd or 3 rd position in any field sports events at the Open National Championship/ Interstate National Championship. This relaxation will also be applicable to the wards of Coast Guard uniform personnel deceased while in service). Minimum 18 years and maximum 22 years i.e. born between 01 Aug 1996 to 31 Jul 2000 (both date inclusive, upper age relaxation of 5 years for SC/ST and 3 years for OBC category candidates). (a) Promotion prospects exist upto the rank of Pradhan Sahayak Engineer with pay scale Rs. 47600/- plus Yantrik pay @ Rs. 6200/-with Dearness Allowance. Promotion to the next Rank and Officer cadre is subject to suitability and performance. (i) The name of the candidate, father/mother's name and date of birth should be mentioned as per the 10th class certificate. (ii) Indicate exact percentage of marks in diploma up to two decimals and this is not to be rounded off. (iii) Filling up of information like personal e-mail ID and Mobile number of the candidate are compulsory. (iv) Candidates to choose any one Centre out of the options displayed.